Supreme Court today refused to hear a suit filed by Delhi’s Kejriwal government - under Article 131 of the Constitution - seeking a judicial declaration on the boundaries of the constitutional relationship between the Delhi government and the Centre, in administering the national Capital especially to clearly earmark each of their powers. A Bench of Justices A K Sikri and N V Ramana said since almost issues have been decided by the Delhi High Court which yesterday ruled that Lt Governor continued to be the administrative head of the national capital and that he was not bound by the aid and advice of the Chief Minister and his council of ministers, the best course would be to wait for the government to file appeal against the order and hear the suit and the SLP together. After Indira Jaising, the lawyer for Delhi government agreed to the proposition, the bench adjourned the matter till August 29. "Why hear your suit for a declaration of Delhi as a full State when the Delhi High Court has already declared it a Union Territory, better challenge the High Court verdict in the Supreme Court first," the bench told Jaising also criticizing the manner in which the government filed a writ petition in HC and suit on almost similar issues in the apex court resulting in multiple litigations and parallel proceedings. Jaising said the primary question they want the apex court to answer is whether the dispute between AAP-Centre was a federal dispute coming under Article 131 of the Constitution. She went on to contend that the HC order was “invalid” as under article 131, only the apex court had the jurisdiction to adjudicate disputes between Centre and a state. But it is to be noted that HC bench headed by Chief Justice G Rohini had yesterday dealt with this issue also. It dismissed the Delhi government's claim that this is a 'federal dispute', saying the political wrangle between the Centre and AAP government is only a tussle over “services” issues which does not attract Article 131 of the Constitution. 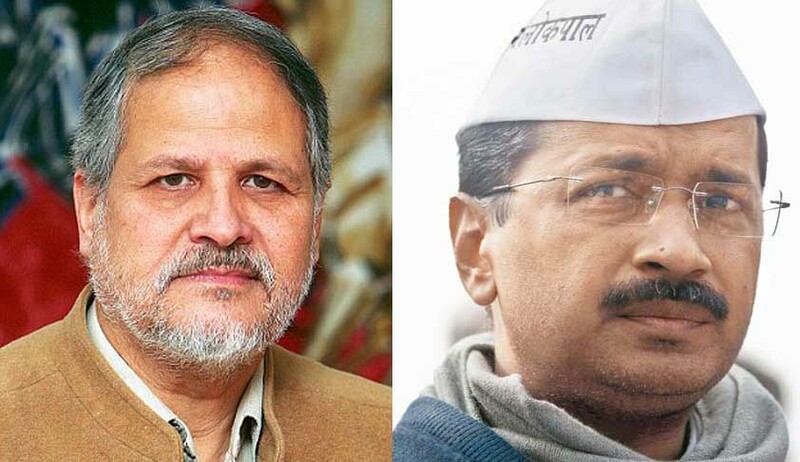 The suit had been filed following a sustained conflict between the AAP Government and the Centre through its Governor Najeeb Jungwho have been engaged in an intense power struggle ever since Kejriwal took over the reins of Delhi 15 months ago.